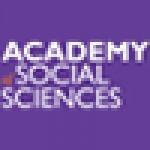 The Academy of Social Science’s mission is to promote social sciences in the United Kingdom for the public benefit. The academy is composed of individual academicians and learned societies; it responds to government and other consultations on behalf of the social science community, organizes meetings about social science and seminars on topics that span social science disciplines, and sponsors a number of efforts that promote social science and enhance its value to society. 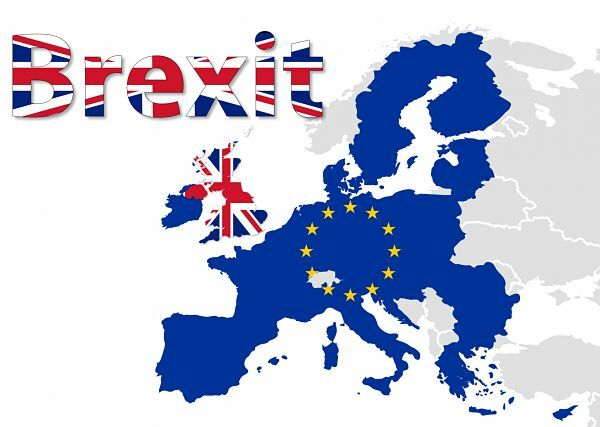 It is now three months since the EU referendum and the consequences for UK research and science, like so much else, remain unclear. The Academy of Social Sciences and its Campaign for Social Science appreciate that this is only one element in the uncertainty that the UK will face, as negotiations take place for exiting the EU. To read the analysis behind these recommendations, please see our briefs ‘The EU Referendum – Leave: What next for UK social science?’ and ‘The Implications of the EU Referendum for UK Social Science,’ both published in June 2016. Given this prolonged period of uncertainty, we have recommendations about the steps that might be taken now to support UK science and ensure that its long-term well-being is considered in the policy deliberations. Like others, we welcome the recent pledge made by the Chancellor of the Exchequer, Philip Hammond, to guarantee underwriting research awards made under the EU’s Horizon 2020 framework program, even when they extend beyond the UK’s departure date. This is vital to ensure that the UK research community can continue to be an active participant in this program during the remainder of our time in the EU. However there are further steps the Government can take to make sure UK science is supported practically, and that the long-term health of research is kept to the fore during the Brexit negotiation process. The implications are broader than funding alone – the health of UK science also relies on our ability to collaborate with European and international colleagues, and to attract the best and brightest researchers, teachers, and students to this country. Government should ensure participation in the negotiations of a representative of the UK higher education and science community. UK science and universities are not only public goods, they are also drivers of economic growth and innovation. Whether it is the Minister for Universities, Science, Research and Innovation or someone else, it is imperative that there is a member of the UK negotiating team committed to, and knowledgeable about, research. To support this, we would also welcome the inclusion of a deputy director (or directors) for Research, Innovation, and Higher Education within the Department for Exiting the European Union (DExEU), as it is unclear where the issue lies in the current organization of DExEU. Government should explicitly state its appreciation of the importance of research funding, collaborations, staff and students for UK science and universities, and for UK economic growth and well-being. It could recognize that, despite the uncertainty ahead, it is committed to ensuring the continued health and global position of UK science. A clear affirmation of this resolve and intent would be reassuring, and give focus to future policy development. The current undertaking only holds good until 2020, and science and universities are long-term enterprises. Government should announce that it will do all it can to protect and replace EU funds for research after Horizon 2020. Promises were of course made about this in the course of the ‘Leave’ campaign. But while we appreciate there is concern over the economy and the destination of any funds that might revert to UK control, UK science (including social science) is a net beneficiary of EU funds, receiving an estimated €3.4 billion more than the UK paid into the EU in funding for research, development and innovation activities between 2007 and 2013. Ideally, negotiations would result in the UK’s full participation in the upcoming ninth Framework Programme as an associated country, but we recognize that this will be a consequence of the negotiations as a whole. Government could, however, announce its intent to safeguard funding for research as a high priority, by ring-fencing the funds the UK already contributes via the Framework programs for UK research beyond Horizon 2020, and stating that it will consider a ‘top up’ to make up for the additional money the UK received as a net beneficiary of EU funding, if full participation in future FPs is not possible. The issue of collaborations and infrastructure is more difficult as, on our analysis, it is likely to be linked to negotiations over freedom of movement. The Minister for Universities, Science, Research and Innovation is right to publicize his desire to know of all examples where collaborations have been put at risk in the shadow of the referendum, and which ignore the fact that the UK is still a full member of the EU with full entitlements to apply for EU funding. We recommend the departments for Education (DfE) and for Business, Energy and Industrial Strategy (BEIS) collate evidence of such cases from universities (where applications to EU programs and collaborations have been threatened by misunderstandings of the legal situation), and actively raise them with the EU Commissioner for Research, Innovation and Science. In addition, the Minister for Universities and Science should ensure the compilation of real-time statistics about applications for EU funding from UK applicants (including the numbers applying, the number where UK researchers are the lead or host, and the success rates of these applications) so that any decline before our final exit from the EU can be acted upon in a timely manner. Government should confirm that, whether through a European Economic Area-type deal or otherwise, it will be mindful of the importance of EU and other international staff in UK universities and the research sector. Sir Paul Nurse, director of the new Francis Crick Institute, has highlighted the importance of ease of movement by scientists for such centers of excellence, which depend on the ability to draw from an international pool of talent. Universities, research institutes, and many businesses depend on international recruitment to fill gaps in vital scientific and social scientific skills. Government could for example make a statement of its intent to develop appropriate visa policies for UK universities and research should that be necessary. This will require liaison not only between the Secretary of State for Exiting the European Union, the DfE and BEIS, but also the Home Office – and those discussions should start now. EU students who apply to UK universities this year are still eligible for loans on the same terms as UK students. But universities and students need more medium-term certainty, and the same undertaking about loan eligibility could be given now, to cover the period before the UK formally leaves the EU. In addition, the DfE, BEIS and the Home Office should actively work together to consider the implications for the visa regime for all international students, in order to ensure that UK universities continue to remain globally open and competitive institutions. If there are concerns about post-graduation employment of international students, those could be addressed separately, without jeopardizing the contribution made by non-UK students to the health (and not only the financial health) of UK science. This entry was posted in Academic Funding and tagged Brexit. Bookmark the permalink. Post a comment or leave a trackback: Trackback URL.